Germicidal lamp ideal for combating living organisms such as bacteria’s, molds, and flu viruses. Has had documented collegiate studies proving its success against H1N1, SARs and other air borne pollutants. Helps introduce a fresh air feeling for you indoor environment. Works in both homes and businesses. Full 2 year parts and labor warranty. 90 day Corcoran backed satisfaction guarantee. With a REME® Generator Advanced Oxidation System, micro-organisms can be reduced by over 99%. Gases, VOCs, odors and particulate (dust) can also be reduced significantly. Charged Advanced Oxidation Plasma will be carried throughout the ducts and rooms for a continuous purification process and a quick kill of newly introduced. Better for homes with high dust problems. 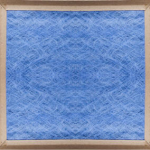 We recommend and provide the economical blue fiberglass models. Replace these filters every 30-60 days. Ideal for homes without allergy issued or dust problems. Allows your system to breathe properly without restriction. Replaceable 5” filter every 3-6 months. Ideal for homes looking to catch pet danders, hairs, and larger dust particulates. 4X more effective than standard 1” models. Allows for optimal airflow, with minimal restrictions. Washable filtration cells every 1-3 months. Captures up to 99% of indoor allergens. Ideal for homes looking to reduce dusts, pollens, pet hairs, and danders. Effective down to .3 microns. A Healthy Climate® HEPA system is capable of removing nearly all allergy-aggravating contaminants, including some of the smallest particles and bacteria. 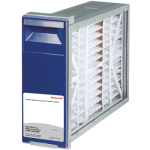 Prefilter captures large dirt and dust particles. HEPA filter captures nearly all remaining particles and germs. Charcoal/carbon filter removes odors and chemical vapors. An optional carbon canister is available for enhanced absorption. 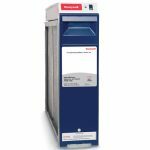 “True HEPA” means the system uses filtration that’s equivalent to MERV 16 and higher, and has been tested to industry standards. 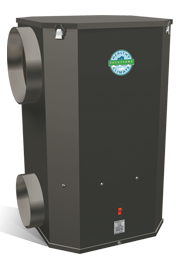 The sealed design of the HEPA system prevents particles from bypassing the filter and recirculating in your home. An insulated cabinet prevents condensation. The Healthy Climate® HEPA system is designed for easy integration with all heating and cooling systems. And unlike standard one-inch filters found at retail home stores, it provides powerful filtration without restricting your system’s airflow.